Game Boy beats Pete Rose to Hall of Fame! Long overdue, too. The National Toy Hall of Fame, located in Rochester NY, has added the Game Boy to it's lineup of most important toys EVAR! "No video-game platform did more to put gamers “on the go” than Nintendo Game Boy. And go they did—bringing their gaming experience to school, to summer camp, and to the back seat of the family automobile. 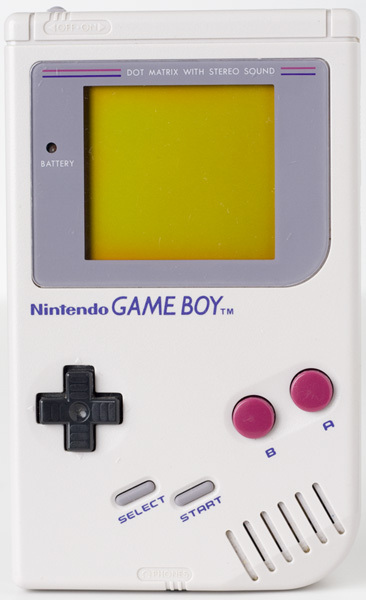 Over the past two decades, Game Boy has become synonymous with portable gaming fun." Which Game Boy sounds the best? The original, natch. But a fellow by the name of Herbert Weixelbaum has gone ahead and compared each of the models anyway. While his background info in some cases isn't spot on, the waveform analysis is. Mr. Weixelbaum goes to great lengths when comparing the sound quality of the different Game Boy models. Not only the waveforms are compared, but other qualities are also noted. Pro Sound mods are also included for the original Game Boy, Pocket and Color models. So anyone messing around with Nanoloop, or LSDJ, should head over and check out the results. It's pretty interesting reading for the rest of us, too. Fine watch retailers Swiss Supply have brought us the gold Game Boy. Created by Aspreys Of London in solid 18k gold with diamond accents, this Game Boy will set you back a cool $29,500. But wait! You also get a custom blue leather case to hold it and a few games/accessories. While we may never be able to afford one, just knowing it exists warms our hearts. Musician Imogen Heap is famous for using all sorts of electronic sounds to create her music. Apparently, a Game Boy is part of her arsenal. The Game Boy appears about seven minutes in, just after she plays her nose (not a misprint). Yes, she's a bit of a hippy, but she does make some interesting music. Also, it looks as if that's a Game Boy Pocket. Anyone who's anyone knows the original Game Boy has much better sound, but she's cute so we'll give her a pass for now. Turn your Game Boy Camera into a robot! French roboticist [Laurent] has detailed how to connect a Game Boy Camera to a microcontroller by way of a serial connection. He provides schematics, pin-outs, software, and assorted pics to help you through the process. His other pages detail other aspects of building a robot, though no complete plans are forthcoming. You'll have to design your own robot to hook this up to, poor baby. 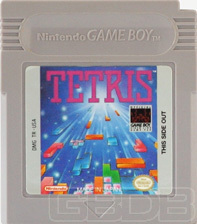 Ever wonder about the differences between pack-in and retail Tetris carts? Ever think about the text differences on the retail Tetris boxes? No? Too bad, cause here it is. We've compared all the carts and boxes Tetris has shipped in. Take a moment and revel in the useless knowledge and our wasted time!